I chose this as a parthenocarpic cucumber so I could grow it indoors without needing pollinators. It is gynoecious so all the flowers should be female. It is a perfect size cucumber for fresh eating, an english style cuke, seedless, averaging 8″x1″. The skin was reported to be thin and good for eating in the description, and it totally lived up to that. Parthenocarpic cucumber seeds can be pretty expensive, but Diva was pretty reasonable, that being the primary reason I chose to start with it (Diva is $0.07/seed, prices go up to $1.72/seed for Camaro). 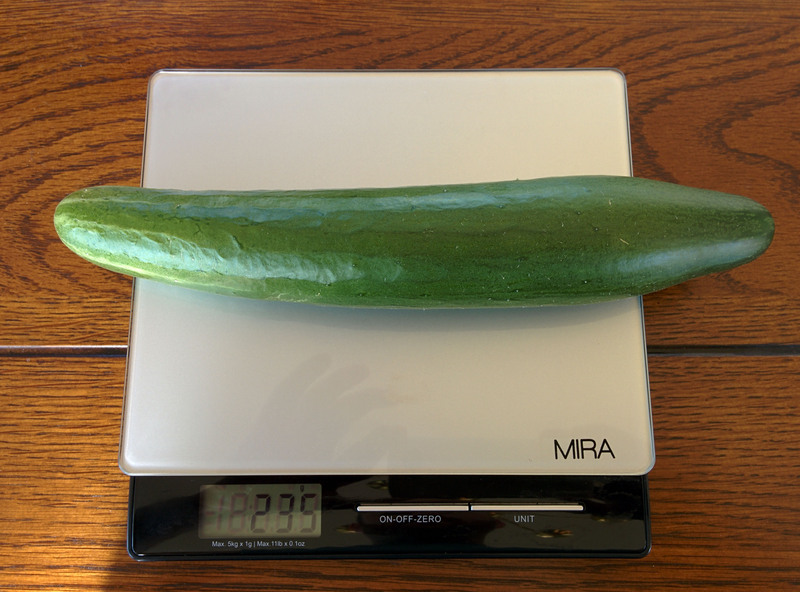 The thing I didn’t expect from this cucumber was how multi-branched the vines would get and how it would dominate everything in its space to the extent it has grown. I’ll definitely grow it again, but give it some better habitat to climb on.